Let me start by apologizing for being so slow with announcing both November and December Creative Challenge winners. The end of the year got away from me, and I got behind on a few things, including choosing Creative Challenge winners. Then, about the time I realized I was so far behind with the challenge, I headed off to Leadership, and then returned from Leadership as sick as I’ve ever been. . . so long story short, these winners are way late! So sorry—but congratulations are still in order! Thank you for sharing your creativity! I’ve also decided to start off the new year with a Creative Challenge change. Originally, I started the Creative Challenge as a place where creative Stampin’ Up! stampers could share their ideas and enthusiasm and projects with each other (and with me!). 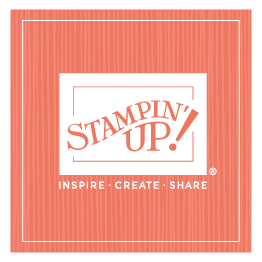 Today, there are more places and ways for you to do that than ever before—demonstrators can chat and post in Stampin’ Connection, plus our blog, Facebook page, and website have several different places for comments and feedback. With this in mind, I’ll be posting Creative Challenges on a less regular basis. Maybe I’ll post a challenge when new catalogs come out, or an exciting promotion, or when I need some serious creative inspiration! Because it won’t be quite so often or regular, I’ll make sure that I communicate the challenge on my Facebook page, as well as here on the blog. And I do hope you’ll still continue to share! Thank you all for the hundreds and hundreds of amazing projects you’ve shared in the past, and thank you for continuing to share with me—and everyone else—in all the ways you do! Congratulations again to our November and December winners!